A few folks have already asked if I plan on making 3D Printed Scale Models and Tiny House Plans from the 101 Tiny House Designs in my new book – the answer is yes. But as a one man band I have to pick which tiny houses to focus on first. I have my personal favorites but I want to hear what everyone else things. A sample image of each of the 101 Tiny House Designs are below. As you scroll down take note of your favorite designs. In the comments at the bottom of the page let me know what you think. In a week I’ll close the comments, tally the votes, and post the winning designs. 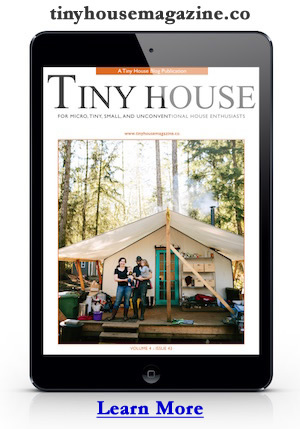 I’ll also randomly pick one of the folks that commented to win a signed copy of 101 Tiny House Designs. This entry was posted in Announcement, Books and tagged 101 Tiny House Designs, book, contest, giveaway, michael janzen, tiny house, tiny house design. Dan I see several of course. I look at these through 1/29th scale because I am a model railroader. Of course I suppose 1/48th would be good as well as 1/87th. I like #’s 1,32,37,50,54,60,68,73, & 78. 60 is nice because it would serve as a business as well as a home. Many I chose have a traditional small home look with porches which I think would do well on model layouts and dioramas. So if I were to narrow down to 2, I would choose 60 and any one I mentioned that has a porch. If your a railroader and love tinys you should check out our Arthur Caboose at Tiny Digs Hotel. The Arthur is named after my grandfather who was a big railroader also. He had the greatest model set up in the basement of any I’ve ever seen. There will soon be a YouTube video of this tiny so keep an eye out. As a matter of fact… I’ve already started on the 1/87 scale 3D printed models. I’m hoping to make a list of models to work on next with this feedback. Thanks! I like the roof design like on #49. The regular roof would be the living dinning and the shed roof would be over the kitchen/bathroom with a loft above! Nobody could possibly choose just one so I’ll list my top ten. My favorite is #19. The other nine in no particular order are 4, 10, 16, 30, 44, 48, 54, 66, and 86. Great work! 82,72, 79, 63,56,48 favoritest is 85 and 96. I love all with a porch and especially with the curved roof. 3, 19, and 47 are my favorites! I love the windows. #67 to me is best and I look at it from the eyes of a person using a walker and or electric chair. Thanks Quinta! Just fyi… one of my upcoming books will be focused on designs for accessibility. So stay tuned. Fav is 73, with a big porch. #19, 42 and 101 are my favs but it looks like I have a thing for round windows here. 1, 7, 13, 17, 19 are the ones that stood out to me.